‘Paan Singh Tomar’, a film which was based on the life of an athlete of the same name, who later becomes a dacoit, had a powerfully riveting story which impressed the audience everywhere. When the film released, not many people had actually gone to watch it on its opening day, despite it having a world renowned actor like Irrfan Khan in the cast. Resultantly, the movie made a poor collection of mere Rs. 85 lacks on Day 1. But the ones who watched the film on the first day came out with excellent word of mouth. Soon the film gained momentum and the audience thronged the theaters. 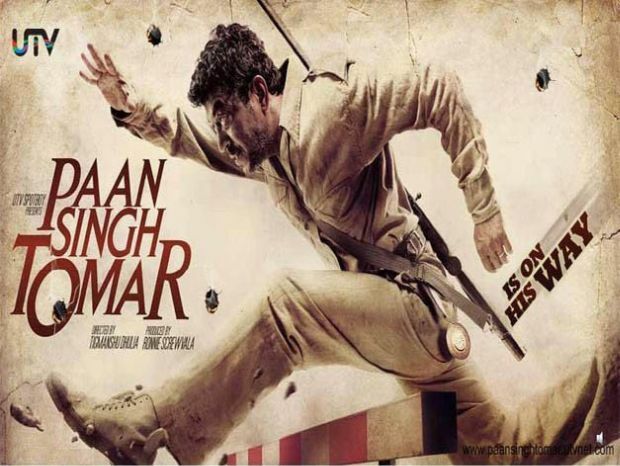 Directed by Tigmanshu Dhulia, ‘Paan Singh Tomar’ was released alongside a rom-com titled ‘London Paris New York’. On its opening day, ‘London Paris New York’ made better money than ‘Paan Singh Tomar’. However, on the second day, tables were reversed. ‘Paan Singh Tomar’, which collected a meager amount of Rs. 85 lakhs on the opening day, overtook the box office collections of ‘London Paris New York’. The film showed unbelievable growth and pulled in Rs. 1.35 crores on Day 2. Sunday turned out to be even more beneficial for the film as it collected Rs. 2 crores. The total box office income of the movie, after adding its weekend collection, stood at an impressive sum of Rs. 4.25 crores. In weekdays, the film attracted more audience and ended its one week un at Rs. 7.54 crores. ‘Paan Singh Tomar’ proved to be a dark horse. Made on a shoestring budget of Rs. 4.5 crores, the film made a lot of profits at the box-office. Apart from making a lifetime collection of Rs. 12 crores from the domestic box-office, the film brought in around Rs. 8 crores from the international market and ended its run at the box-office with Rs. 20 crores in its kitty. TRIVIA: Paan Singh Tomar was a seven-time national steeplechase champion in the 1950s and 1960s.